Women find great smelling men quite appealing. However, for a man, wearing a good perfume is more than just being appealing. A good scent is an extension of one’s personality. It is definitely an indication of being well groomed. Perfumes are also associated with luxury. Along with that perfumes make you feel more confident if it smells really good. Therefore, choosing a perfume that gels beautifully with your skin and body is a must. So make sure that you choose wisely. If you are confused about how to go perfume shopping, here are some inputs on some of the best perfumes for men in India. Created from a blend of some of the finest ingredients and fragrant notes, these perfumes offer day long freshness. Let’s discuss the features of these Best Perfumes For Men In India. Surely you will find a best one for your self. 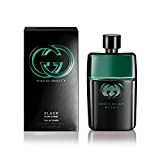 Gucci Guilty Black is a primarily green scent and is known for being the most seductive of all perfumes in the 21st century. The scent is mysterious and has an almost dark edge to it. The top notes include lavender and coriander with an undertone of neroli and other aromatic scents. This scent is perfect for the modern man as it is dynamic and extremely sensual. If you want to gift to your husband a unique perfume, that suits his personality, Gucci Guilty Black Eau de Toilette is the best choice. A special date or a formal party. The black base of the bottle with a bottle green neck is a classic. The logo stands out and the black nozzle finishes off the classy packaging of the bottle. This fragrance from Ralph Lauren is extremely fresh and invigorating. Perfect for those who love to remain free-spirited, this scent reminds you of the vast ocean, nature, and fresh air all in one go. It features a top mix of soothing melon, tangerine, and lush accord, accentuated by middle notes of basil, geranium and sage. A dash of velvety moss and washed suede feature as the bottom notes. Although not an overbearing fragrance, it definitely marks your presence in a group. This perfume is ideal for daytime use for outings, business meetings, and events. This scent comes packed in a vibrant blue, square shaped bottle that strategically showcases the logo at the font. A silver bottle cap accentuates the overall appeal of the pack. Giorgio Armani is one the best perfume brands for men in India. 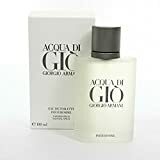 Acqua di Gio EDT perfume is our best pick by Giorgio Armani. This scent was created by Armani when he was on a vacation. This citrusy scent is ideal for a man with an active lifestyle. It keeps you fresh and smelling irresistible all day long. The fragrance depicts just that, freedom, water and the wind. The undertones of the aromatic oils and the spicy oils add to the appeal. These tones cannot be missed and they add to the raw attractive appeal of this scent. A romantic evening with your someone special. The frosted glass bottle with a silver cover is classic. 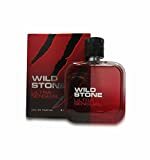 It has sharp edges that represent the strong masculine scent that it holds. Ideal for a man who wants to make a lasting impression on a romantic night out, this predominantly floral perfume is a must-have. It features a prominent blend of Oud, leather, agar, spices, olibanum, cumin, elemi resins, saffron, labdanum and rose, with a prominent whiff of leather notes. Sensual and unforgettable, this perfume is ideal for evening wear, especially when you are out on a date. Stylish packaging in a red bottle with a prominent wooden ring stopper cap accentuates the packaging while the horse logo marks tradition. 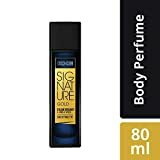 For anyone looking for a perfume that can be used on a daily basis, this price range is ideal. Oceanic and nautical in its appeal, this sophisticated perfume flaunts a marine base. It is something you would love to reach out for when heading for outdoor sports or excursions. It has top notes of vanilla and lavender that makes it rich in its appeal. The notes also have sharp scents such as orange, lemon, coriander and cardamom. A casual picnic, hiking, dinner or lunch with your friends or colleagues. The fresh green color of the bottle is reminiscent of an inviting day out. Accentuated by a silver cap with a hint of red, this bottle looks as macho as the man who possesses it. This is a French perfume that is very vivacious in its appeal. 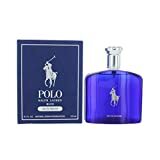 It is a very manly scent that has the freshness of fragrances like mint, rosemary and Artemisia. The effect of the perfume is generally woody and musky. The hints of lemon and mint add to the freshness of the scent. The base note of patchouli is actually quite balancing and makes it perfect even for daily use. A romantic date with your lady, ideally the first date to make a lasting impression. This is an extremely rich smell. It almost adds a second layer to your personality each time you spray it on. The blend of elemi, cardamom and musk makes it manlier than ever. It also has floral undertones and some spicy blends that are perfectly appealing to the ladies. The base notes comprise of musk, vetiver and the essential woody accords to emphasise on power and confidence. This is a perfect fragrance for day time use and daily wear. This perfume has a cylindrical clear glass bottle with a matte finished black band which gives a sporty look. The light green cap adds to the sense of freshness. Sophisticated and gentle, this fragrance from Marks & Spencer is a remarkable blend of citrus top notes. A whiff of bergamot, cedar, black sesame, and smooth white musk further accentuates this fragrance making it a sure winner. This fragrance makes a good choice for a formal occassion or gathering. The product comes in a clear glass bottle packaging. It is accentuated by a contrasting translucent cap in sparkling amber tones. A perfect masculine fragrance unvieling the warm and spicy notes of amber. This scent is ideal for the young, fun loving man of today. It complements your outgoing and free spirited personality with lively woody and musky notes. There are different variants available for this perfume. However, the musky notes lend a sophisticated charm for added appeal. You get three variants for this perfume including fruity, woody/musky, and fresh. So you can choose from them depending on whether it is meant to be worn during the day or for an evening out. For the evening try the musky option. The floral and woody tones are perfect for attending a casual lunch or a relaxed party with your friends. Despite being a budget perfume, the appeal of the packaging is quite royal. The clear, royal blue bottle with the logo applied in a beautiful gold color adds to the richness of this perfume. Think Wild Stone and you will immediately associate with its sensual appeal. It is a bold scent that is sure to linger on everyone’s mind even when you are not around. This fragrance is a blend of spicy and woody scents which have a burst of green citrus. It keeps you feeling fresh all day and adds to that masculine edge! This sensual tone is ideal for the first date where you just want to sweep her off her feet. The rectangular, slim bottle with the rounded edges is very modern. The leafy green color of the liquid represents the green fragrance of the perfume. This premium perfume is known to last the whole day with just one application. It is a blend of amber wood and bergamot that makes it dark and seductive in its appeal. You have notes of vanilla oozing through these base notes making it warm and mysterious in a way. 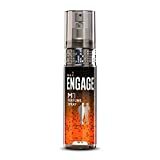 This sporty ad manly scent is ideal to wear to work or even a casual get together. The edgy, rectangular tall bottle is all black with hues of royal blue coming in around the edges. This perfume is a long-lasting blend of woody and citrus notes. Refreshing and unique, it comes with the assurance of 800 sprays. Spray it on for a soothing experience all day long. This perfume is perfect for all-day wear when you want to feel and smell your best the whole day. The perfume features a prominent black colored bottle with gold-hued rings accentuating the cap giving it an enigmatic and regal appeal. This is a classy, elegant blend that lasts all day long. It has a blend of cool citrusy notes with interspersing notes of musk. The floral base gives it that unique appeal that will simply set you apart from the rest. This perfume is perfect for daily use. The bottle is sleek and square in shape with rounded edges. The silver cover matches the letters on the body of the bottle making it edge and stylish in its appeal. This is a beautiful blend created by experts from across the globe. It does not contain any added water which means that it lasts longer than other perfumes. It has a fresh musky base scent. As for the top notes, you can choose from a citrusy scent, a woody scent or a musky one. This perfume is ideal for all day use. The cylindrical bottle comes with an elegant clear cover. Soothing yet invigorating, this perfume lends a whiff of sensuality in its fragrance. 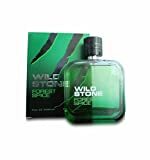 It is ideal for men who like their scents to be fresh and noticeable without going over the top. Its energetic notes will keep you fresh and active throughout the day. This perfume is ideal for everyday use. You can wear it after a bath to remain fresh all day long. This perfume comes in an attractive and sensual, semi-transparent, red bottle. Go ahead and discover the amazing world of memorable fragrances for men. With so many perfumes to suit your taste, style, and mood, you are sure to find the one scent that you can truly call your own. Or would you like to own a collection? ‘Gucci Guilty Black Eau de Toilette’ is one of the best long lasting perfume and has the impressive fragrance. Which varient should I buy in Denver both for office & casual use? Which single varient should I buy in Denver both for office & casual use? 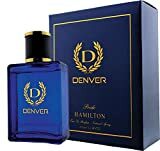 Denver Hamilton Pride Eau De Parfum will be the best for both types of usage.